Please join us for our new spring menu. We still have all of your favorites and we are excited to share our seasonal dishes with you! Celebrate the full eclipse with Davinci on August 20th! The Summer Menu is here! 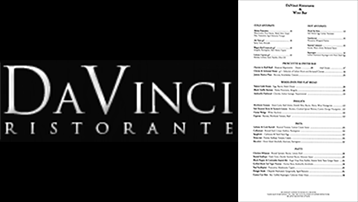 Join us and try our new Fall Menu! Coming Soon – Pizza to go!